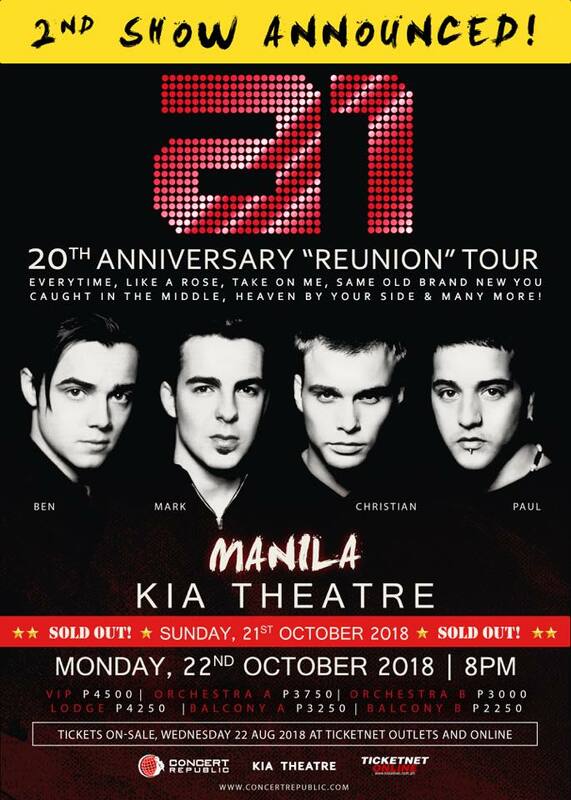 Talking about this much-awaited reunion tour, Ben, Christian and Mark say “We're unbelievably excited that Paul will be joining us again and bringing the original line up of A1 together for the very first time in more than 15 years. Tickets for the October 25 show at the Waterfront Hotel and Casino in Cebu are still on sale at all SM Tickets outlets and online. A1 20th Anniversary and Reunion Tour is presented by Concert Republic.